Ok, in this article we will talk about these invisible braces called Invisalign. I hope you already are aware of what they are, but if you are not, and are just curious why so many people are talking about this topic, then basically they are the light, transparent, and one of the latest types of braces modern dentistry can offer. The main question, though, is “Does Invisalign Work?”. Well, yes, but not in all cases. If you don’t know, Invisalign is widely marketed as better, lighter, faster and more comfortable than traditional braces, which doesn’t help us much. To answer the “Does the Invisalign work” question we need to understand how they are applied and used in detail. Before beginning the procedure, the orthodontist has to make sure that the patient does not have any allergic reactions to the braces. Moreover, your situation will be examined to understand if these Invisalign braces are really for you. Yes, that means what has been suggested previously – that for some people Invisalign braces are just not recommended, just like how free dental implants and implants, in general, are not approved for some, as they would result in tooth implant problems. But here are the reasons for our Invisalign case. These braces work a little bit differently than traditional ones. 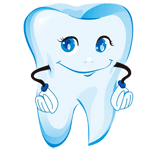 The conventional braces are relying on stretching the teeth in a particular direction. They also cause your roots to become shorter since they are metallic and are putting a lot of pressure on your teeth. It is also known that they affect your gum in a not very positive way (sometimes resulting in gum disease symptoms, although that happens only when either the dentist is wrong, or the patient is uncooperative). Invisalign, on the other hand, are relying more on the application of constant pressure, not as strong as that done by traditional ones. The fact that the force is constant, though, manages to provide for really great results. Usually, the patient is given three aligners for six weeks, after which he has to revisit his orthodontist to receive the next set. Each set is worn for approximately two weeks (listen to your dentist – he will tell you the exact number), and on average one aligner moves the teeth for 0,2 mm. The full treatment can take from 30-40 alignments, six months to a year and more – it all depends on the irregularity degree of the teeth. A 3D scan using the latest computer technologies are necessary to determine the pattern and plan of treatment. Of course, due to the relative novelty of the technique, not all dentists have the qualification required to offer this service. Last thing, since the pressure applied by Invisalign is not on the same level of what traditional braces are capable of, and together with several other factors, the Invisalign braces are not capable of treating the situations, for example, where the teeth are severely crooked. Generally speaking, they are good for straightening the patient’s teeth, but they not good fixing a person’s bite. The teeth’s movement will result in some pain (easily relieved with some tooth pain relief methods), but the sores that are usually present after the brackets treatment will not be there for long – generally for ten days and that’s it. Lastly, you need all your adult teeth to be erupted to meet the Invisalign treatment standards – some people might not have them all even by the age of 17 (it highly depends on an individual whether he will still have the baby teeth by that age or not). Consult with the reputable dental clinics and orthodontists to learn if they are suitable for you. All I can say is make sure you consult with the right orthodontist who has all the necessary qualifications to do the Invisalign treatment, and then only if you meet all the required standards, then you are eligible for these braces. Unfortunately, there are some stories, mostly from areas and countries where dentists are not very famous for having high business integrity, where people are being treated by dentists who have no clue about what they are doing, who do not qualify dentistry, and who even utilize used dental equipment in deplorable conditions. Bad dentists will sometimes seduce you with the lowered cost of their service. The very reason why you don’t want low-cost dental implants and the reason why you should be wary about agreeing to the low price of veneers offers (and low cost of dental services in general), and with all the benefits of their skills, but you should be wary. The questions like “does Invisalign work for overbite” can be answered as no, because the situation of an overbite is too severe, as it has been mentioned above, and the Invisalign braces are suitable only for straightening teeth, not fixing the bite. Those patients, on the other hand, who received the right consultation from the right doctors, those who were approved to be suitable for the Invisalign, and finished the whole treatment process, are usually pleased about the results (97% satisfaction). Yes, your teeth may start to go back towards the original position at the end of the treatment, but that’s when you need to keep wearing your retainers. Consistently. Moreover, most people agree that Invisalign braces work much faster than traditional braces. And don’t you forget about their transparency, too. Some patients do complain about the initial discomfort (about two days after the installation of Invisalign), but soon they get used to them, and the process of taking them off (to eat) and putting them on becomes more and more effortless. I bet braces wouldn’t be very pleasant to them, either, so there is not much to complain about. So, does Invisalign work? Short answer – yes, generally, they work pretty efficiently. 97% patient’s satisfaction ratio strengthens that fact. Just check your particular situation, as it has been said. 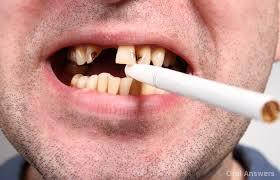 They are also pretty expensive, even for the standards of cosmetic dentistry costs. Check the “How much does Invisalign cost” article to get more information on that.